What kind of fresh madness is this? 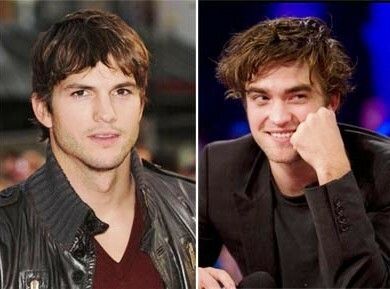 Charlie Sheen's replacement on "Two and Half Men", Ashton Kutcher, has been dissing the world's most loved vampire, Robert Pattinson on Brazilian television. Twihards don't seem to be able to see the funny side as yet. They're seeing Kutcher's immature joke as a way of dumming up extra publicity for his new role on in "Two and a Half Men". You'll soon learn Kutcher don't make an enemy out of Robert Pattinson fans. What do you think? Did Kutcher mean this as an insult? Ashton: Nice meeting you! My name is Robert Pattinson, and I am a gay vampire. Luciano: you shouldn’t have said that. Luciano: He didn’t mean it. He was just saying that Robert Pattinson is the guy who plays the vampire. Ashton: What is his name in the movie? Ashton and Luciano: No, who?